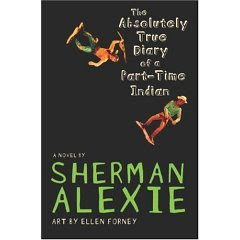 Arnold Spirit, aka Junior, is a smart, nerdy 14 year old who must straddle two worlds when he transfers to a rich, white high school in a suburb near the poverty-crippled reservation he grew up on. At once hilarious and heartbreaking, Junior finds friends and even love in his new surroundings, even as his family seems to be falling apart. Outsider Tyler Miller has spent the summer on probation performing community service. When he returns for his senior year in high school with a new buff body he gets noticed by the beautiful and popular Bethany Milbury. But when he rejects Bethany and then appears the likely suspect for a crime, he begins to implode under everyone's accusations and hostility as he tries to clear his name. 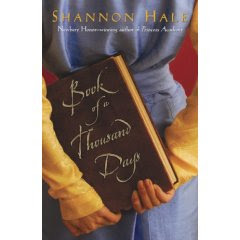 In this psychological thriller, a teenage boy, clay Jenson, receives a package in the mail from a classmate, Hannah, who recently committed suicide. 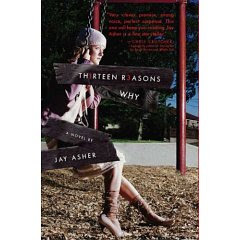 The package contains cassette tapes with Hannah's voice detailing the reasons she killed herself -- and Clay is one of the 13 reasons. 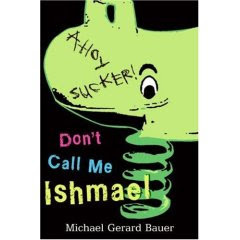 Ishmael LeSeur is certain his life is over when Barry Bagsley, 9th grade class Neanderthal, decides he has a funny name. But the winds of fortune change when the tiny, odd, but brilliant James Scobie not only declares war on Bagsley, but forces Ishmael to join the new, hilariously awful school debate team. Abby Garner, 15, is determined to be a millionaire by age 35. 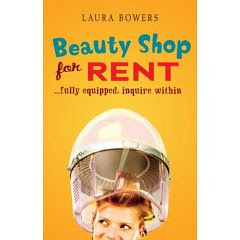 She lives with her great-grandmother, who runs an old fashioned beauty parlor that is currently for rent. The new owner, a sophisticated woman of the world, updates the parlor and turns it into a day spa, which causes chaos and resentment. Against the backdrop of a school-wide controversy, Mena, ostracized by her old friends and kicked out of her church, learns to think for herself and challenge her beliefs with the help of her lab partner, Casey, his super-smart sister, Kayla, and an army of adorable puppies. Dashti, a royal maid, finds on her first day on the job that she and Lady Saren are to be locked in a tower for seven years. After she discovers that her lady is mentally fragile and has been terrified by something that happened in her past, Dashti uses her wits to fight for their very survival.